Holy smokes! Where have I been? I missed all the fun Christmas posts that I could have shared with you. But, life happens and it did for me. But, here I am again and ready to share with you some very exciting news! 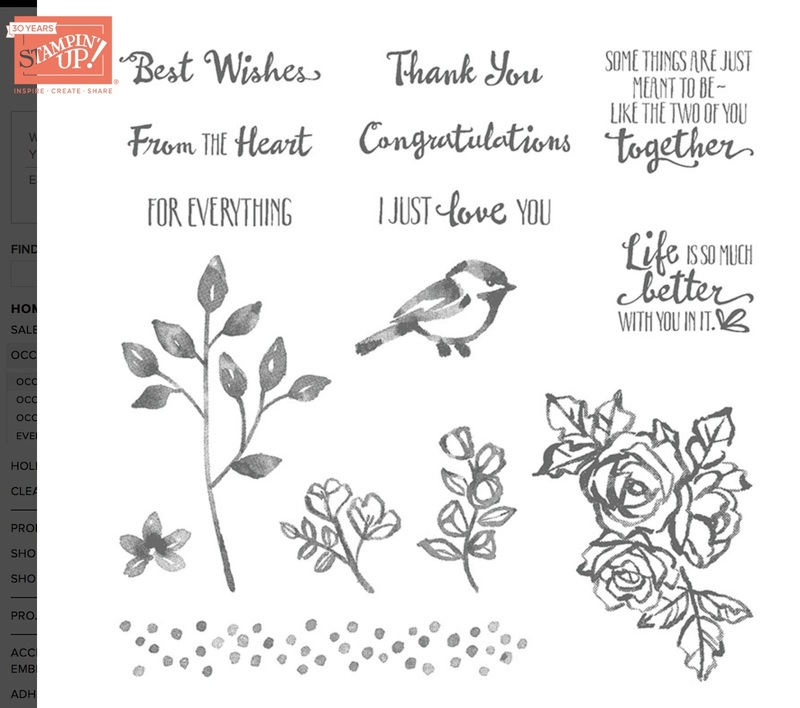 The new Occasions Catalog went live and it is now available for you to shop! Along with that, Sale-A-Bration is in full swing, which means with every $50 ordered, you get to choose a free item. And, this year, there are some bigger, more special items in sale-a-bration which can be redeemed with a $100 purchase! Yay! You can do your shopping here! Also, if you'd like to join my team, there are some very exciting incentives to do so. 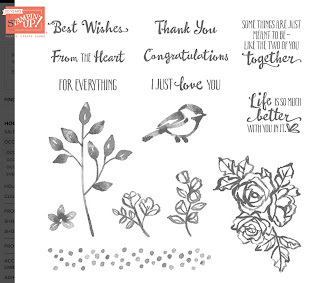 Such as, for $99 you can pick $125 worth of any products in both our annual catalog and occasions catalog and then you can also pick 2 extra stamp sets for FREE. Follow this link to sign up!! I thought I would share a card I made with a new stamp set in the Occasions catalog. This stamp set is called Petal Palette, and I absolutely love it! I can't wait to make more cards with it very soon. here is one I made using why aqua painter to blend the inks.